Last year marked the first general elections to be held in Bahrain since the pro-democracy uprising of 2011. 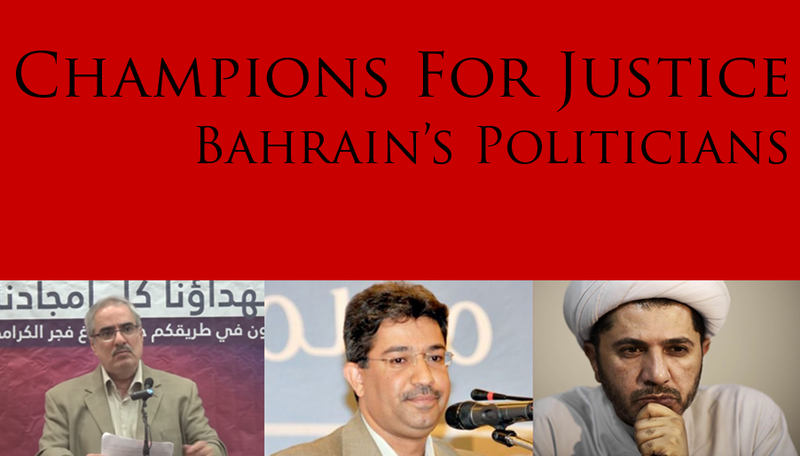 Since the election, which has been named amongst the worst elections in 2014 alongside those in Syria and Afghanistan, the Government of Bahrain has infringed on the freedoms of political opposition societies across the political spectrum. 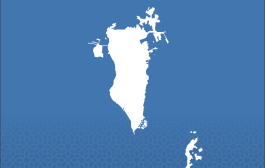 Al-Wefaq, the largest political society in Bahrain who boycotted the election, was the first to see high-profile arrests and trials on charges related to free expression. 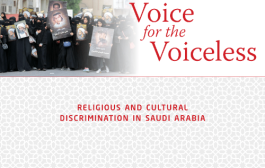 The government soon placed other societies, including the National Democratic Action Society (Wa’ad) and Democratic Unity Gathering Society (al-Wahdawi), under similar pressures. 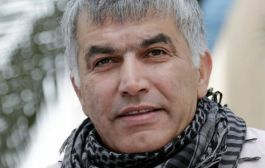 This month, the Bahrain Institute for Rights and Democracy (BIRD), Americans for Democracy & Human Rights in Bahrain (ADHRB), and the Bahrain Center for Human Rights (BCHR) call attention to leaders of the political opposition imprisoned in the past year. Their situations remain significant: Bahrain cannot reasonably claim to have instituted reforms or conducted a national reconciliation dialogue when leaders from the political opposition are imprisoned. Ebrahim Sharif is the former Secretary-General of the secular nationalist party Wa’ad. He is a member of the “Bahrain 13”, a group of political prisoners arrested in relation to their activities during 2011’s democratic movement. In June 2011, a military court sentenced Sharif to five years imprisonment, despite evidence that he was tortured in detention. A civilian appeals court upheld the sentence in 2012. In June 2015, Sharif was released on a royal pardon near the end of his prison term, when he was already eligible for parole. However, he was rearrested just 19 days later, on 13 July, following a speech he gave after his release from prison. In the speech, he stated: “We are for democracy, we are for a constitution which gives wide authorities to the parliament, we are for a government elected by the parliament, we want a constitutional monarchy.” The Public Prosecution has charged him with “inciting violence” and “promoting overthrow of the government.” His next trial hearing is on 12 October 2015. 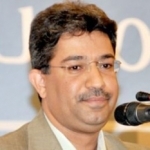 Fadhel Abbas served as the Secretary-General of the Democratic Unity Gathering Society (al-Wahdawi) prior to his arrest on charges related to freedom of expression. On 26 March 2015, the Ministry of Interior (MOI) announced that Bahrain would be joining Saudi Arabia and other Arab states in conducting air strikes in Yemen. On the same day, the MOI warned that it would take steps against anyone expressing opinions “against the approach that Bahrain has taken.” The MOI arrested Abbas later that day in relation to a statement that al-Wahdawi published on Twitter calling Bahrain’s involvement in the war unconstitutional. 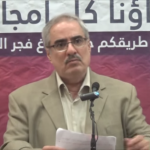 , After Abbas’s arrest, the MOI undertook steps to dissolve al-Wahdawi on the grounds that it had been “undermining national security.” On 28 June 2015, Bahrain’s criminal court sentenced Abbas to five years in prison for “spreading false information that could harm the military operations of Bahrain and its allies” in Yemen. Abbas is currently serving his sentence in Jau Prison. His next appeal court hearing is 10 October 2015. Sheikh Ali Salman is the Secretary-General of al-Wefaq, Bahrain’s largest licensed political society. 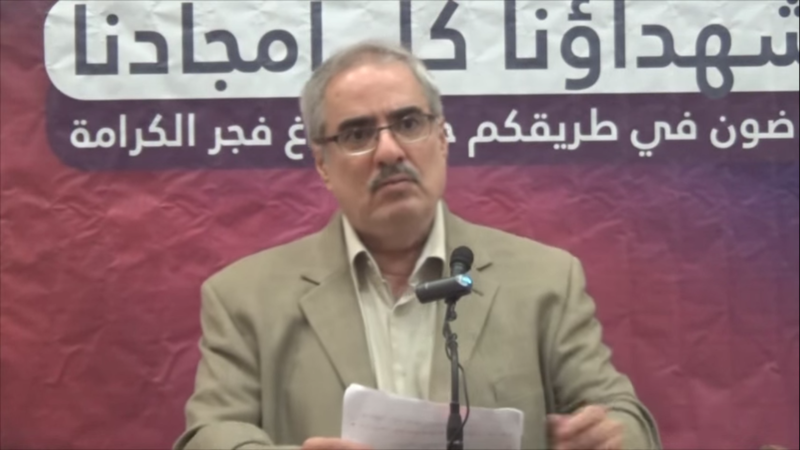 Salman was an opposition leader at the forefront of the national dialogues between 2011 and 2014, during which he has consistently called for a stronger parliament and the release of political prisoners, while emphasizing that peaceful resistance is the only means to achieving reform in Bahrain. On 28 December 2014, officers arrested Sheikh Salman after summoning him for questioning. After more than two weeks in detention without being formally charged with a crime, the Public Prosecution charged him with inciting hatred, civil disobedience and promoting overthrow of the government, in addition to a litany of other charges. A Human Rights Watch study of Salman’s public speeches in question found no basis for the charges. On 16 June 2015, a criminal court sentenced him to four years in prison. His next appeal court hearing is 14 September 2015. Sheikh Salman is not the only member of al-Wefaq to be targeted by the government. In August, police arrested al-Wefaq member and former Member of Parliament (MP) Sheikh Hasan Isa on his return from a foreign trip and he remains in police custody. In January, ex-MP Sayed Jameel Kadhem received a six-month sentence for disturbing the general elections after he accused the government of attempting to bribe candidates. 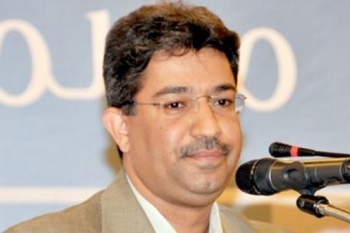 Majeed Milad, the former elected president of the Manama Capital Municipal Council, a board member of al-Wefaq, and a key member of the 2013 National Dialogue, was detained on 1 July and has been put on trial for “inciting disobedience of the law,” for calling for peaceful protests. His trial resumes on 13 September. BIRD, ADHRB and BCHR remind the Government of Bahrain that democracy cannot be achieved if political criticism is treated as a criminal act. In highlighting the cases of these three political leaders, we also remember all other prisoners of conscience in Bahrain sentenced on charges related to the exercise of their free speech and association. 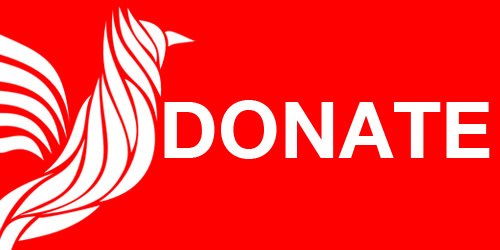 Freedom of expression, along with the rights to self-determination and political participation, is guaranteed under Articles 1, 19, 22 and 25 of the International Covenant of Civil and Political Rights (ICCPR), to which Bahrain acceded in 2006. 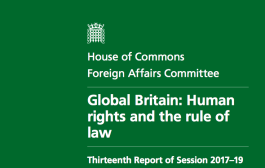 We call on the Government of Bahrain to honour the provisions of the ICCPR and respect its citizens’ right to freedom of speech, association, and political participation, by immediately releasing all persons charged or sentenced on politically-motivated charges and decriminalizing criticism and free speech.